Another incredible week in Habana. 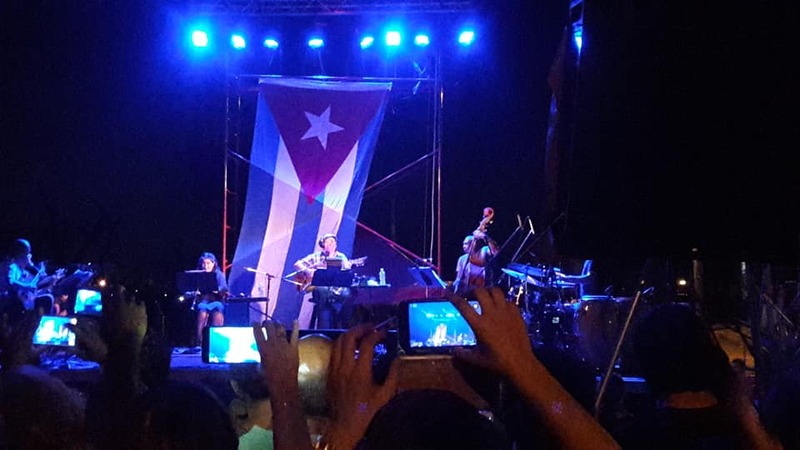 Concert 99 in Silvio Rodriguez' tour of Cuba's neighborhoods, this time in Regla, hit hard by the recent tornado. The vote for the constitution. Our students are editing their first short film. And... I got the Dengue. After all of your wonderful healing wishes, I have a new diagnosis- -a water-borne bacterial infection acquired from our blissful trip to the waterfall last month. It acts a lot like Dengue until it doesn't. The good news- -bacterial can be fought with antibiotics; 2 days into antibiotics and I am approaching myself. Hoping to get back to my students Friday. In the meantime Marcia has been killing it. Bay Area: Los Hermanos in concert for the first time as a duo. Aldo López-Gavilán and Ilmar Gavilán in Concert at Jarvis Conservatory. Highly recommended music that will whet your appetite for the documentary to come. To learn more about our upcoming Cuban stories, visit @patchworksfilms on Facebook and Twitter, follow along on this blog, or sign up on our homepage for an infrequent email newsletter (we promise not too to write too often). We are so excited ! In route to Havana with NYU Tisch School of the Arts students! Flew with our excellent NYU students. Met our 3 excellent Cuban students. Survived Habana' s first tornado in nearly 40 years. Went with some of our NYU students to the opening of Inocencia, a Cuban feature. Had a good talk with director Alejandro Gil at a Cafe after the screening. Ready for first day of school. 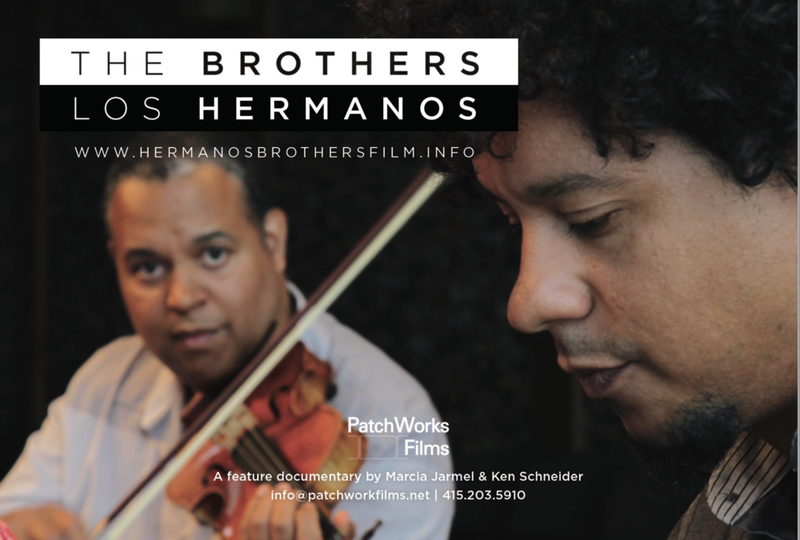 We are also restructuring our doc, Los Hermanos/The Brothers. Cuba is very inspiring! 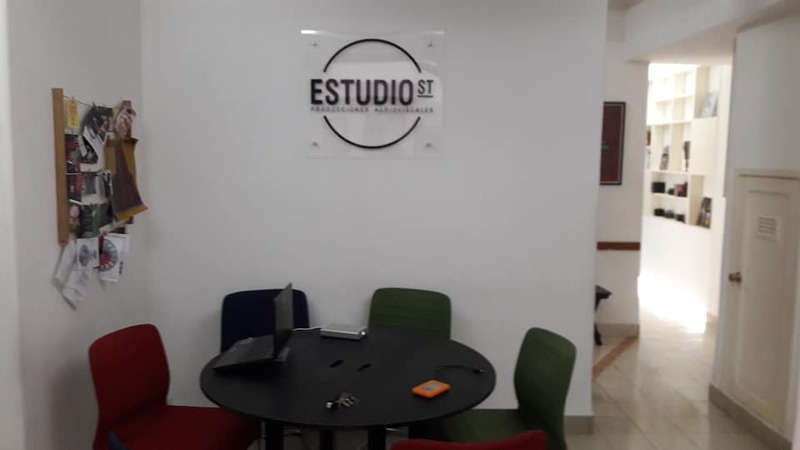 Take a look at our Habana-based office in our Home in Naroca, the building in Thomas Guitiérrez Alea's classic film, Memorias de Subdesarrollo. 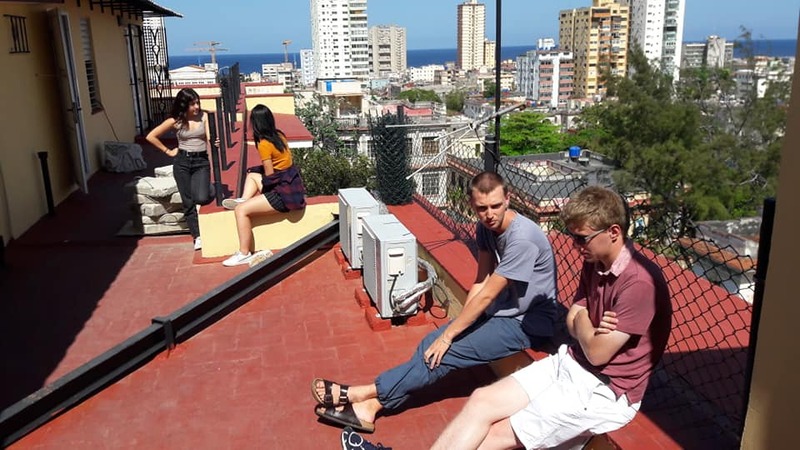 Havana students take an excellent 3-day intensive with Scott Bankert from NYU Tisch. 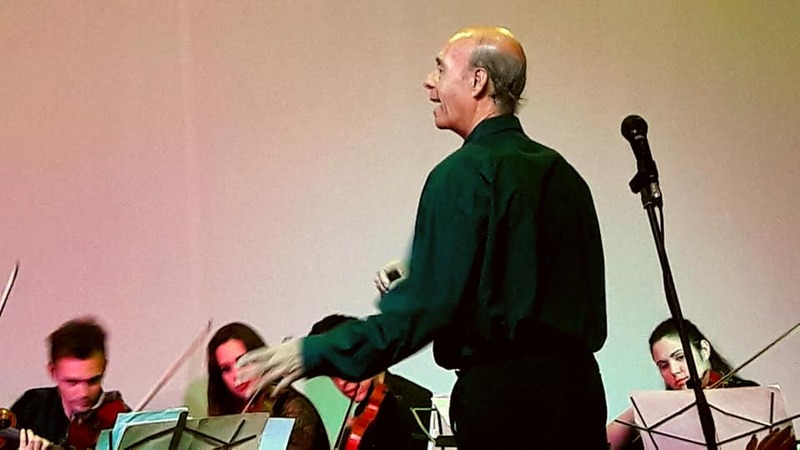 A beautiful concert with conductor Guido López-Gávilan, father of Ilmar Gavilan and Aldo Lopez Gavilan. Bach, "Cubanchero," (also featured in our film Los Hermanos/The Brothers), and an inventive piece by Guido, including cello-tapping and unusual and wonderful bowing sounds. Followed by a nice talk with Silvio Rodriguez about Guido's music, Silvio's upcoming concert, and Oakland. In these challenging times, we are happy to share our progress. LOS HERMANOS/THE BROTHERS, the latest in our slate of Cuba films, has grown from a short film in the series “Evolution Cuba” to a feature-length documentary. Our story of two virtuoso Cuban-born brothers separated by geopolitics yet united by music has the wind at its back. We finished a new trailer which introduces Aldo and Ilmar López-Gavilán and their stories. Please check it out and let us know what you think. You can follow the film's progress on Facebook too. CLICK HERE to watch our new 2-minute trailer. Aldo and Ilmar are working on their first joint CD, and just this week we wrapped production by capturing their first recording session ever on film — luscious music composed by Aldo and performed by both brothers with verve and heart. We fell in love with the López-Gavilán family and their extraordinary music, but it’s not just us. 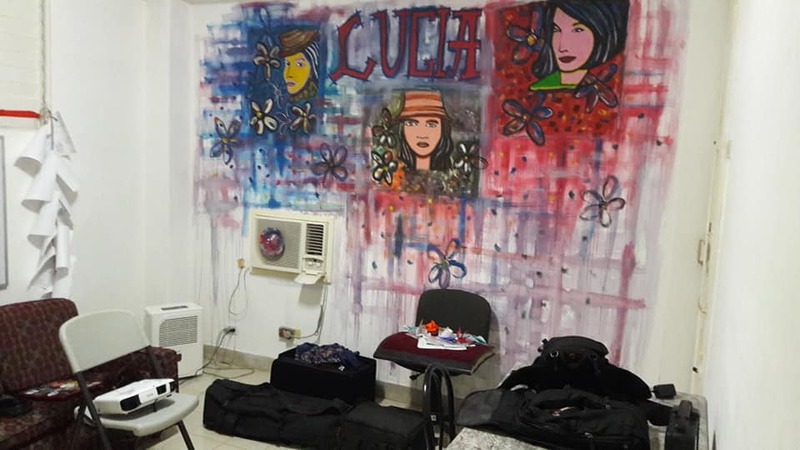 The project is buoyed by funding from the extremely competitive Independent Television Service and Latino Public Broadcasting, as well as generous support from the Jonathan Logan Family Foundation, and recently the National Endowment for the Arts. We were honored to be chosen to pitch at this year’s DocNYC Film festival. In other news, we're delighted to have finished the short film about photographer Ivan Soca Pascual, formerly called THE LENS, now renamed IT'S ONLY ROCK N' ROLL. If you are a Kickstarter donor who signed up for a DVD reward, it is on its way. We thank you for your patience and belief in this insightful perspective on the Rolling Stones historic visit to Cuba. 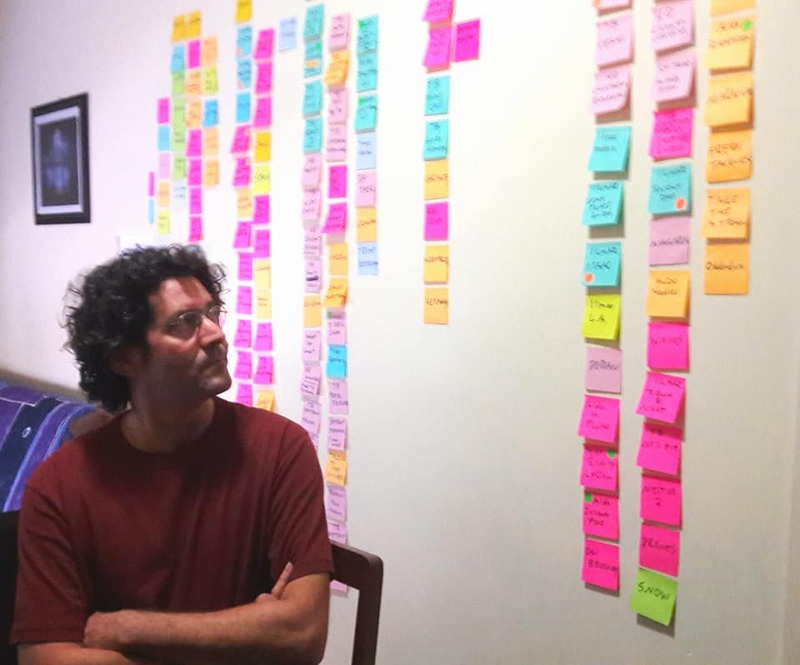 Next spring our work finishing LOS HERMANOS/THE BROTHERS will be facilitated by the opportunity to teach at NYU’s documentary film program in Havana. Needless to say we are more than thrilled and are ending the year ever so grateful for the ongoing support of our friends, fellow filmmakers, family, and community. Our new headshot courtesy of Ivan Soca Pascual. THE LENS — finishing post-production this month. We want to share our excitement. We have locked picture on THE LENS and will be recording music and doing final sound and picture work in Havana later this month. Thanks for your patience, those of you who are waiting for your DVDs. They should be available this spring along with news of our premiere. Bigger news is that we've been greenlit to finish LOS HERMANOS/THE BROTHERS, the short that has grown into a feature documentary. Funding details to be announced in the new year. Right this moment Ken is filming in NY with our American violinist brother. On Sat. he flies to Havana where we'll film the reunion of the brothers in Cuba, their first recording together ever, along with a family concert that will be on Cuban TV. For some fun photos, follow Ken's posts on Facebook. Happy Holidays all. Here's to some light in this challenging time. When we first met El Oso (the Bear), one of the founders of Cuban Salsa -- Casino de Rueda, we knew he would light up the screen! Now you can meet him too, in our latest short, Wheel of Life. Close to 70 years old and still on the dance floor, Oso's charisma and fancy footwork broke new ground for black dancers after the revolution, and helped launch a dance phenomenon around the world. In Wheel of Life, Oso guides us through his Havana, regaling us with tales of his youth ... tales from a time when Havana’s exclusive clubs were white only, forcing him and his circle of friends to dance on the streets. After rock n’ roll and the revolution intervene, Oso and his crew choreograph a new history still danced across the globe today. We're happy to offer a special preview of Wheel of Life, available to stream right now through Dec. 15th! And, if you'd like your own DVD (or imagine its the perfect gift for a friend), we're offering a special pre-release copy for the holiday season. For details, visit the Wheel of Life web page. And to learn more about our upcoming Cuban stories, visit @patchworksfilms on Facebook and Twitter, follow along on this blog, or sign up on our homepage for an infrequent email newsletter (we promise not too to write too often). Questions? Email us at info@patchworksfilms.net. Filming the TWO BROTHERS, with Aldo & Ilmar López Gavilán this summer. Just a quick note to share our brand new trailer for the EVOLUTION CUBA series. You can find it here: https://vimeo.com/176115749. Let us know what you think, and please share with others who might be interested in what we're doing. We're excited that the series has been invited to participate in IFP's Independent Film Week, a competitive market in New York this September. It's a little like speed dating with festivals, broadcasters, distributors, commissioning editors, and other allies who can help us bring the films home. We're still fundraising--most immediately to support the rest of our filming of THE BROTHERS story this fall. 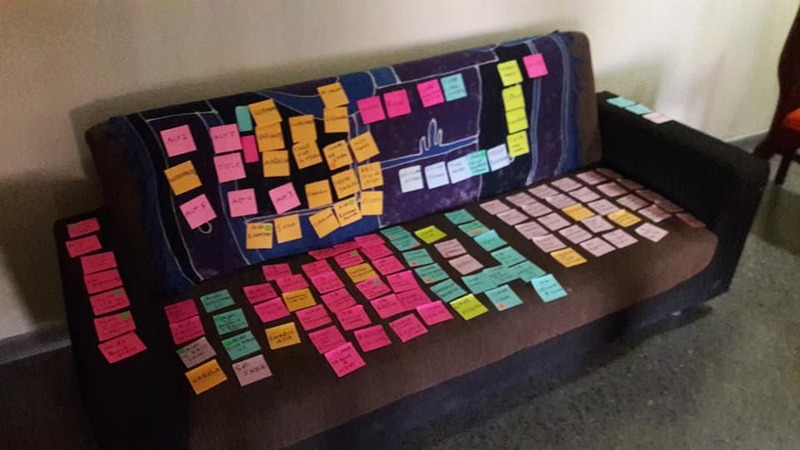 We have a rough cut of our first film, THE LENS, and about 60% of the second film shot. Check out our prospectus for details of the status of each of our stories: http://bit.ly/EVOLUTION-CUBA-LOOKBOOK. We welcome introductions to folks who might want to be involved with the project. In the meantime we're continuing to tell stories of our progress on our blog. Follow along if you are curious: http://www.patchworksfilms.net/blog/. And we are putting the finishing touches to our long-awaited short WHEEL of LIFE. It should be making its way in the world this fall. Ken and I are deeply grateful for all the support and cheerleading that has moved the project to this point. Mixing sound for WHEEL OF LIFE with the remarkably talented Will Storkson. Crazy electrical storm sky the night of the solstice. Dos Hermanos | Two Brothers — Our Next Story? Aldo Lopez Gavilan (far right), featured in our upcoming film, with Usher, Joshua Bell, Larisa Martínez- Soprano, Carlos Varela, Dave Matthews Band, and Smokey Robinson celebrating with the U.S. artist delegation visiting and collaborating in Cuba this week. Ken interviews El Oso last spring for our short film, LA RUEDA DE LA VIDA /WHEEL OF LIFE. We celebrated Ken's birthday at the most excellent Havana Film Festival New York—a gem of an event —where we had a sneak preview of our new short film, LA RUEDA DE LA VIDA / WHEEL OF LIFE. 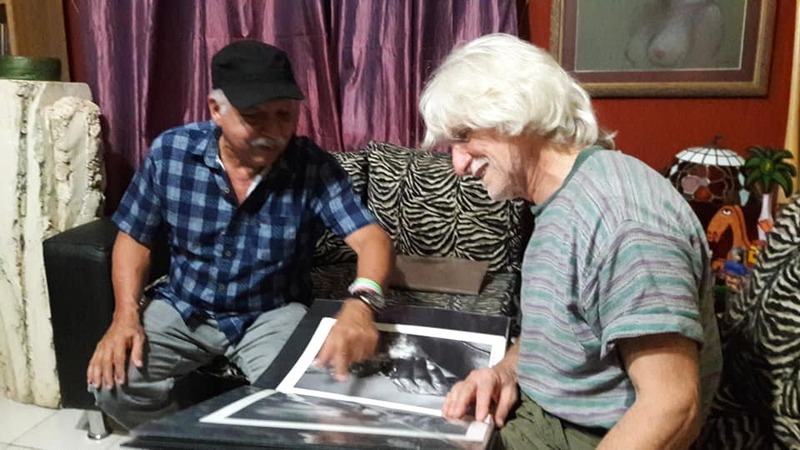 We shared the screen with a remarkable group of visiting directors and actors from Cuba, and elsewhere in Central and South America, and were delighted to reconnect with Rafael Solis, one of the cinematographers for our upcoming story of photographer, Ivan Soca. Rafael Solis at work documenting photographer Ivan Soca. RUEDA DE LA VIDA is our short film tribute to El Oso, one of the founders of casino, the godmother of salsa. El Oso’s charming story reminds us that salsa, thought to be a confluence of Puerto Rican and New York cultures, is rooted in Cuba. Our screening inspired a group of casineros in the audience to dance in the lobby after the screening. 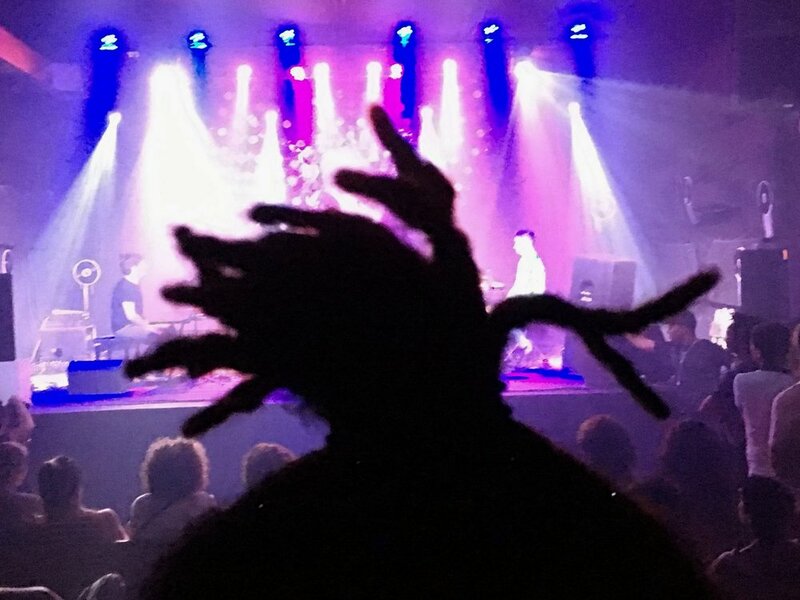 An inspired audience takes the dancing off the screen and into the theater lobby at the Havana New York Film Festival, where WHEEL OF LIFE previewed. A highlight of our weekend in New York—Ilmar Gavilan, a Cuban-born violinist living in New York, came to our screening. Ilmar is a violinist with the Harlem String Quartet, and his brother Aldo is one of Cuba’s greatest jazz pianists. We had lunch and drinks with Ilmar, who left Cuba as a teenager to continue his music education in Moscow. That was in 1986. Although he travels often to see his family, geopolitics have prevented the two virtuoso brothers from touring together in the U.S. Ilmar’s quartet plays a range of music spanning from Mendelssohn to Billy Strayhorn’s Take the A Train. Aldo, called “a genius, a star” by none other than Chucho Valdés, has a rich creative life in Cuba, but only a few opportunities to play in the US. That will start to change this summer, when he tours with Ilmar and his Quartet, plays with an orchestra in Napa, CA, and joins Harold López-Nussa, his dear friend (and our series composer) for a date at San Francisco Jazz Center. We are looking for funding right now to support our telling this story of two virtuoso brothers, separated by geopolitics, whose lives might finally converge—the third in the (R)evolution Cuba series. We welcome introductions, tax deductible contributions, ideas! Ilmar Gavilan's Harlem String Quartet, bringing jazz and classical excellence to underserved kids. We were lucky to catch Ilmar and the Harlem String Quartet play in Santa Rosa. After Ilmar and I spent the following day appreciating a beautiful San Francisco day. Muir Woods (they don’t make ancient redwoods in Cuba nor in New York), Hawk Hill for a view of the Golden Gate Bridge, some in-car video of the Hyde Street Cable Car, and yes, the Sea Lions at Pier 39. Oh—and delicious food and margaritas at Tommy’s Restaurant in our neighborhood, the Richmond. I had just met Julio, the owner, at an event in Havana—small world! Ilmar enjoying the Bay Area as we chat about profiling him and his brother, Aldo, in Dos Hermanos / 2 Brothers. Meanwhile in Havana, Aldo, the pianist brother toasts with violinist Joshua Bell, after performing together in Havana. Bell was part of a U.S. delegation of artists that included Usher, Dave Matthews and Smokey Robinson. And back at PatchWorks in San Francisco, the footage Ken shot of the Ivan Soca's story last month has been translated and readied for editing. We start in earnest next Monday. Stay tuned. Words Without Voice, contemporary Cuban art considering the internet's arrival in Cuba, showcased at the Taller Experimental Grafica. Colleagues in the Cuban film world remind me that it’s typical to have regular cancellations and delays. I have definitely shed the “time is money” ethic of my home country, but I’m not quite used to hearing, at 11 PM on the eve of a shoot, that it is off—or on. Fortunately, the crew I am collaborating with is flexible, and has no other commitments this week—so I am still hoping to get everything done during my last three days. An on-and-off breeze (mostly off) helped me get through the spring heat—and this is nothing compared to July, when Marcia and I filmed a few days last year. Havana is completely back to normal, as far as I can tell, post-Obama/Major League Baseball/Los Rollings (The Rolling Stones). 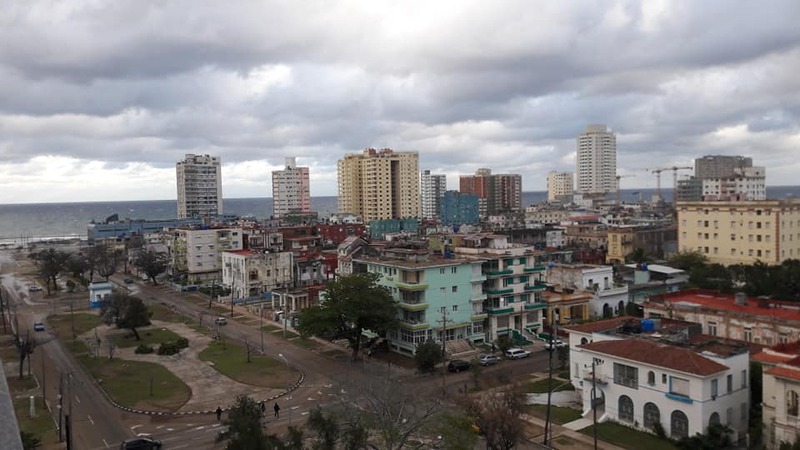 The pulse of Havana is a bit uneven on the subject of Obama’s visit. 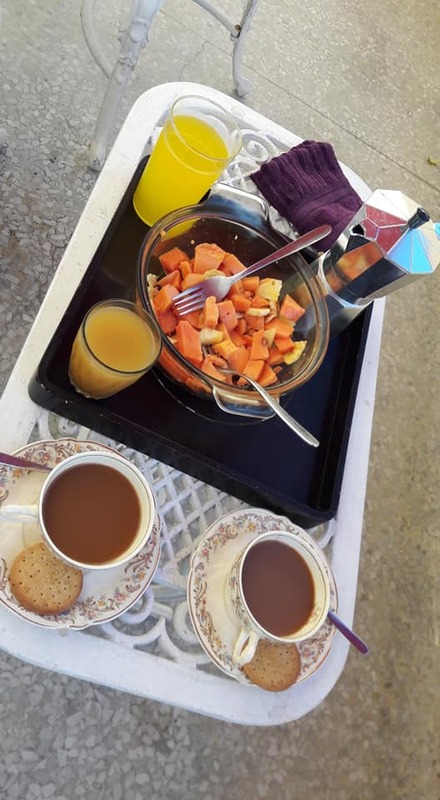 Some are lamenting the loss of a day or two of work—not a small thing in much of the world. Some felt his speech was canned, that he did his research and said the right things, but they await actions (lift the embargo). Others were inspired and felt that it was a historic opening, with inherent gains—and risks. Over beer today with our advisor Rafael Betancourt, an economist at the U of Havana, we talked about the implications. All of it is true, he said. Potential gains, risks, frustrations, empty promises, inspirations. A middle class will emerge, non-agricultural cooperatives will grow in number, and the state will remain strong and involved in planning the economy. There are no models for Cuba’s future—not Vietnam, nor China, nor Sweden nor Denmark. Cuban telenovela star, Enrique Bueno. I met with Enrique Bueno, one of the most well-recognized telenovela stars, whose government salary requires him to create other opportunities. I know that many aspiring actors in LA, San Francisco and New York wait tables between auditions, but Enrique is a star. He had several stories to tell that he wished to remain off the record. An cautionary vision of the future Malecón by Lyudmila & Nelson at the fabulous Fábrica de Arte Cubano. As my final meeting was delayed, I had a nice walk on the Malecón, the wall that protects Havana from the sea. While the light turned warm, and the sea a deeper blue, I watched a fisherman snag a squid, a Santera dressed in white with a white parasol, and the usual and wonderful collection of lovers young and old, families, travelers and seekers. It is a magical part of this city.